dbVidya is a leading online Training provider for various Oracle related courses. 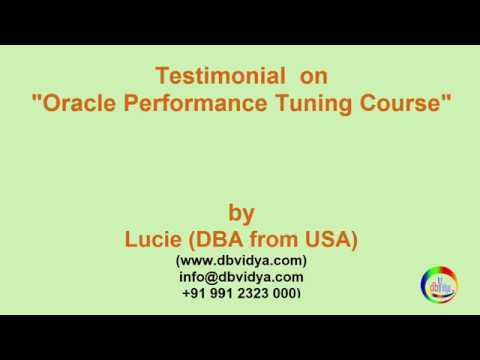 One of our popular training is Oracle Performance Tuning Videos for Developers and DBAs , any oracle professional. 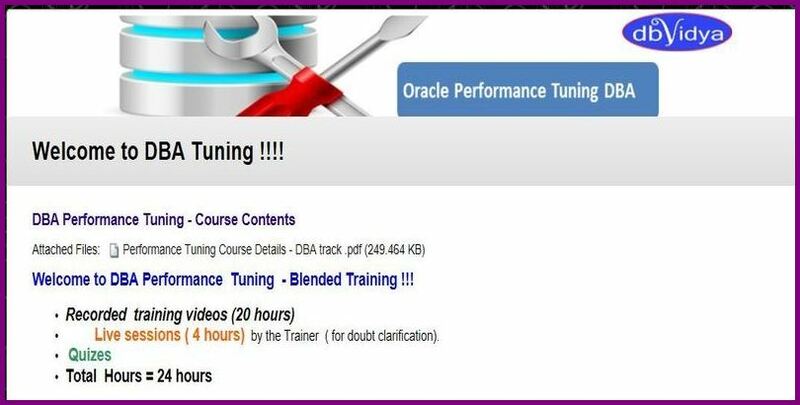 Check out why , what ,when, how factors of Oracle Performance Tuning thru Oracle Performance Tuning Videos Tutorial. What is Oracle Performance Tuning Videos for developers LiveLessons (Video Training)? Pre-Recorded Oracle performance Tuning Videos will be given ONE MONTH view access. Power point material used in the training will be given in PDF format . All the topics PDF files can be downloaded for future reference. Based on the track you choose (Either Developer /DBA) , few live sessions with the trainer will be given for doubts clarification. Listen multiple times , if any topic is not clear. Send all the doubts to your trainer in email and get clarified during the LIVE Lessons/Sessions. Discuss any oracle performance tuning issues which you face at your work projects. This Course Module Videos deal only some tuning issues happens , then what are the fixes for those problems. This will not cover in depth analysis for the oracle performance tuning issues. This Module deals with in-depth advanced analysis on Oracle Performance Tuning topics. 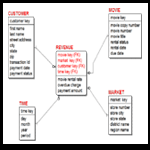 Deals with “what, why , when , How” factors of Oracle SQL Tuning issues. 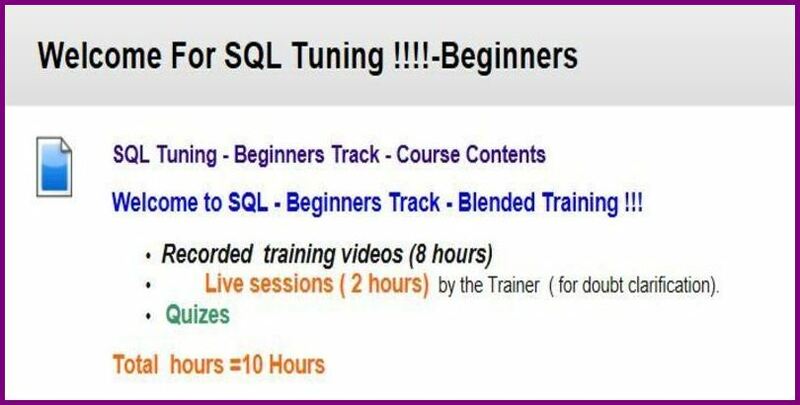 This Advanced Tuning course Covers each and every SQL Tuning problem wrt “Oracle architecture ” Aspect.